Sarah and Joe began their International Tour with a stop in Los Angeles. 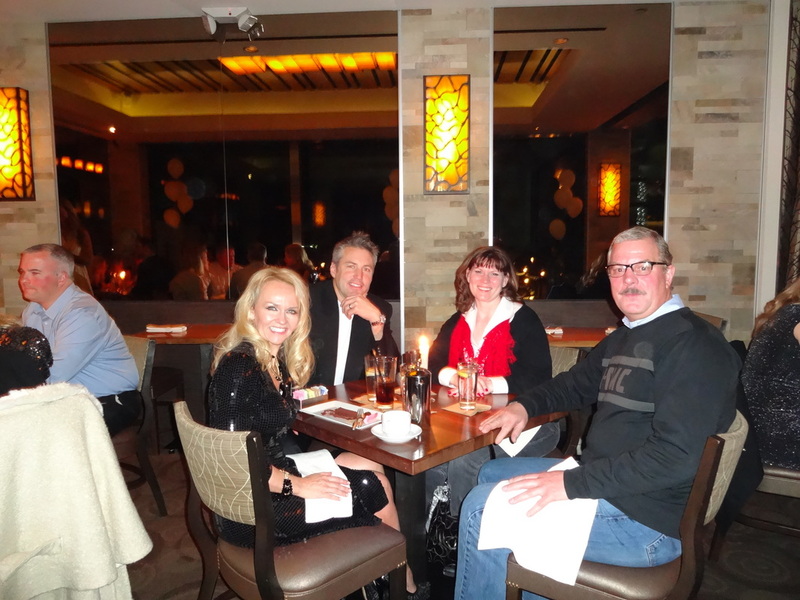 Arriving on New Year's Eve, Mr. and Mrs. International were joined by Shannon Jipsen and her friend Gary for dinner. 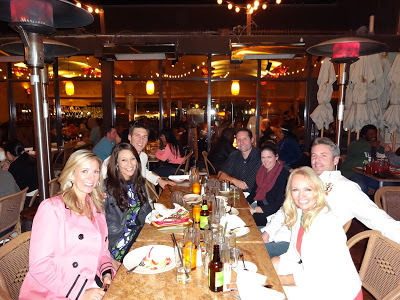 The four dinned at The Strand House, which is located in Manhattan Beach. Shannon and Sarah have been long time friends and enjoyed ringing in 2013 together. Sarah and Joe truly enjoyed spending time with members (and new friends!) of the International Family in Marina Del Rey, California. 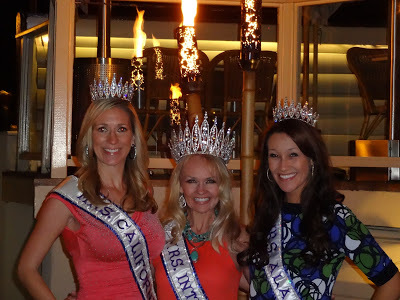 The day started with a fabulous lunch at Jeri's Restaurant and Deli where Rocky (Mrs Alaska 2013) and Patrick Harrigan joined in on the fun. 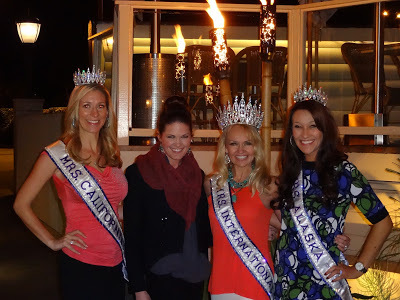 The group was then joined by Mrs. California 2013, Shana Smith and the group enjoyed spending time together on the outdoor patio at the Cheesecake Factory in Marina Del Rey. For those of "cooler climates" sitting on an outdoor patio AND watching a game of beach volleyball in the beginning January is such a treat. 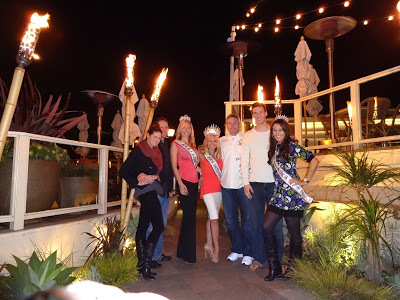 Speaking of treats...Mrs. International 2007, Rebekah Negrete, and her husband Greg joined the group for dinner. The evening was full of friendship. fellowship and food, which was truly a perfect way to kick off the New Year and the International Tour. Thank you to everyone who has joined in the fun and celebrated the International crown and all it represents.